Come Away with Us Art Tours are led by Gallery owner Kerrie Bowles. If you’d like to know where we might be off to next make sure you’re on our emailing list to be one of the first to find out. Enjoy two nights away with us in the beautiful New England ranges around Tenterfield. Your tutor for this tour will be watercolour artist Harry Westera and we will be painting the landscape of New England. Beautiful rolling hills, long and sweeping plains and stunning rocky outcrops abound in the Granite Belt area of NSW. Get in touch now for a full itinerary and details. We’re heading to Sydney for the Long Weekend in June for a weekend of sketching the urban landscape around the historical Rocks area plus a whole lot more! Enjoy three nights accommodation right in The Rocks with a short stroll to Sydney Harbour, Observatory Hill, The Rocks Markets, Circular Quay, the Museum of Contemporary Art, Sydney Opera House and the Harbour Bridge. We will also be just a short distance away from the Art Gallery of NSW and the heart of Sydney CBD. 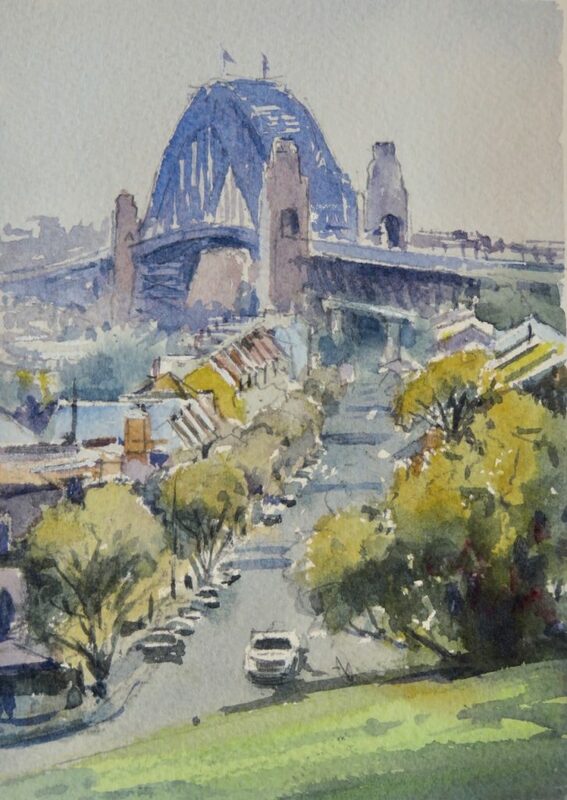 Your tutor for this tour is Harry Westera and the focus of this tour will be on easy simplified sketches around the Rocks and Sydney Harbour foreshores with pen and wash plus watercolour. 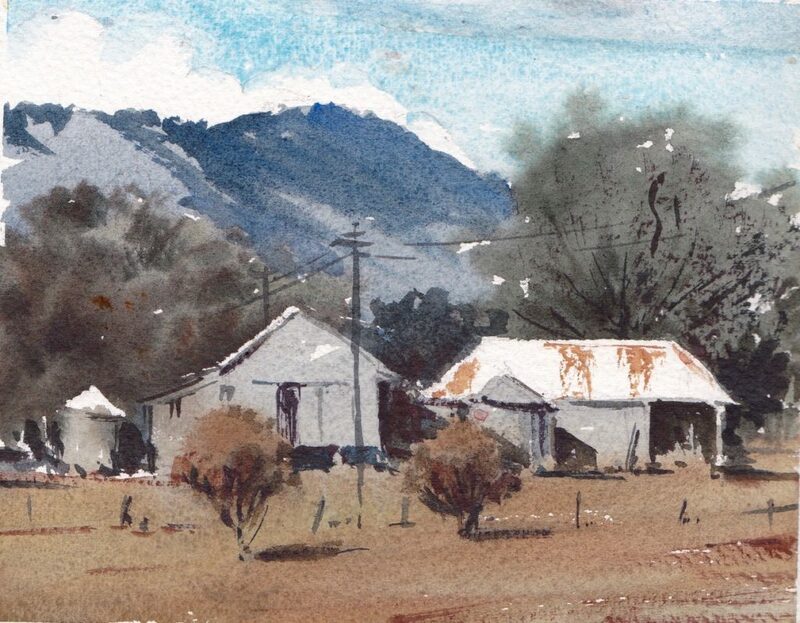 If watercolour is fairly new to you, you might like to try ‘pen and wash’. Here, the emphasis is on doing a drawing in pen and then adding some washes in coloured ink or watercolour. Or you can use oil paints or other medium which you are familiar with. Contact us now for all the details and a tour itinerary. We went, we loved it, we had the most wonderful time and we painted each day in this special place. Stunning coastlines, rocky outcrops, amazing turquoise waters, sandy beaches, Norfolk pines everywhere and something new around every corner. 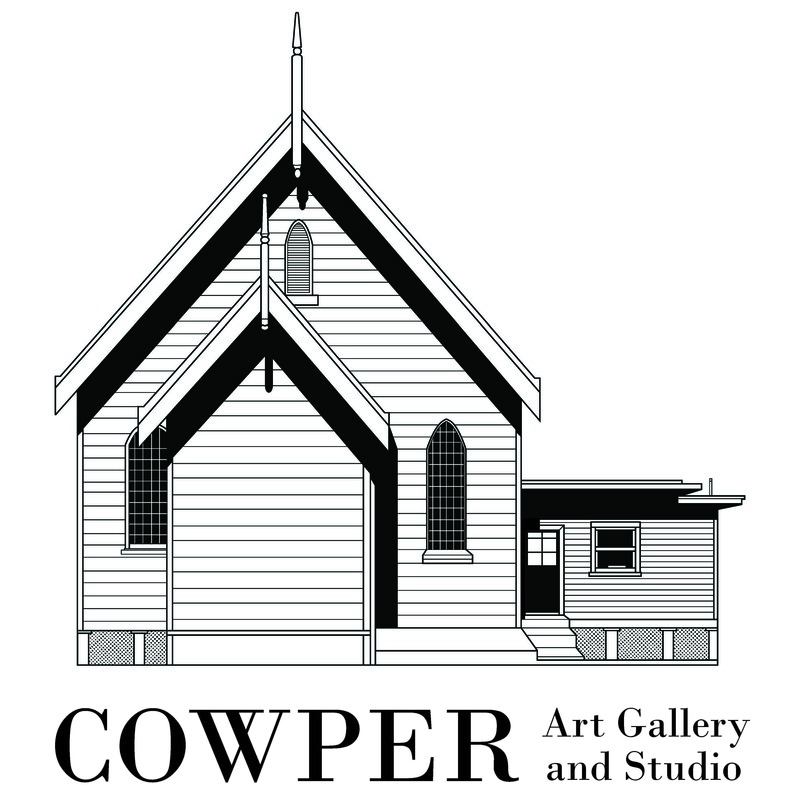 Cowper Art Gallery and Studio is thrilled to announce that we are heading back to Norfolk Island for 7 days at the end of September, 2019. Pack up your painting gear and join Gallery owner Kerrie Bowles and talented watercolour artist, Harry Westera, whilst we explore this tropical paradise. Spend your days painting in this beautiful part of the world and learn from Harry’s expert tuition and guidance. Once again we have secured a fantastic package that includes everything you need to make this your dream art tour. Let us take care of all the details for you and look after you for a week away. Just pack your bags, your art gear, sit back, relax and we’ll take you to another world! This is a week to get away, forget about the everyday, indulge your passion for painting, enjoy the company of like-minded artists, and explore this beautiful island. You’ll leave with a folio of paintings, and special memories shared with new friends. Oh yes! We are off to Japan in October 2020. 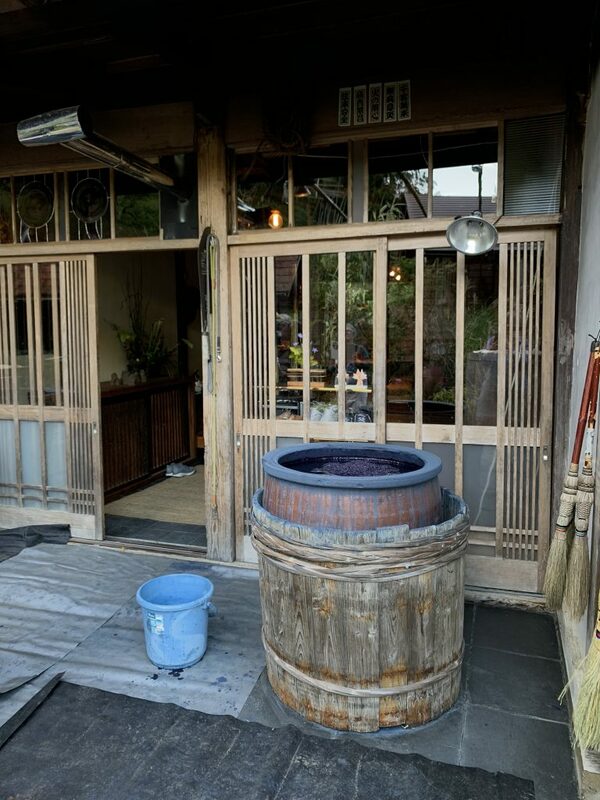 Join Kerrie for an intensive 10 day indigo dyeing workshop in a beautiful mountain village just outside Tokyo. We will spend 10 days with Bryan Whitehead who has been living and practicing the art of indigo dyeing in Japan for almost 30 years. We are still developing this tour and are currently taking expressions of interest. The tour will also include time in Tokyo visiting museums and other sights plus time for shopping. Please let us know if you’d like to be one of the first to get all the details when we are ready to send them out. 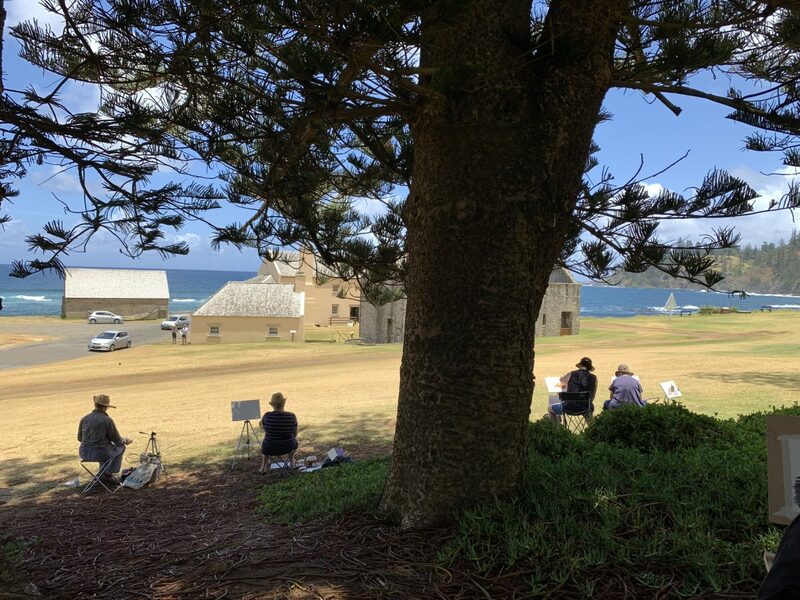 Cowper Art Gallery and Studio is thrilled to announce that we are heading across the seas in January 2019 to Norfolk Island for 7 days. 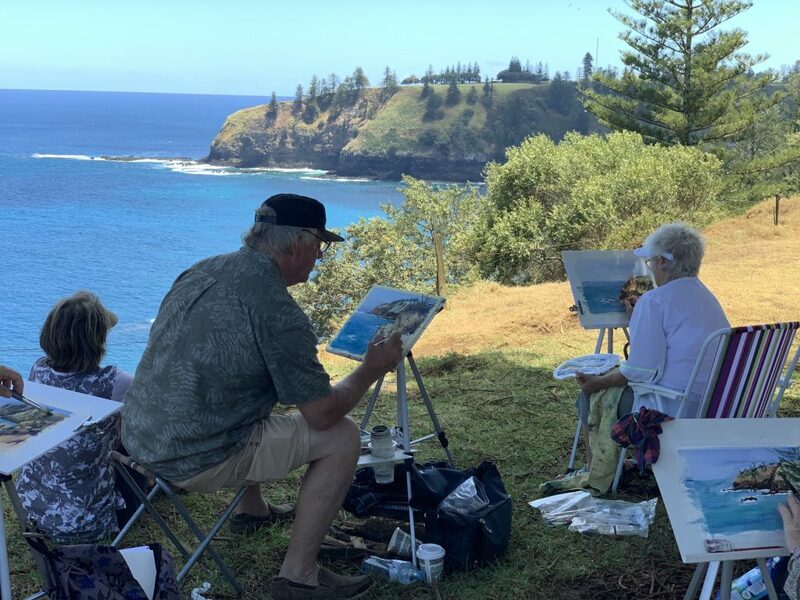 Pack up your painting gear and join Kerrie and exceptionally talented watercolour artist, Harry Westera, whilst we explore this tropical paradise. Spend your days painting in this stunning location and learn from Harry’s expert tuition and guidance.